Sauna exercises the heart and circulation system. hardens and increases defense forces. 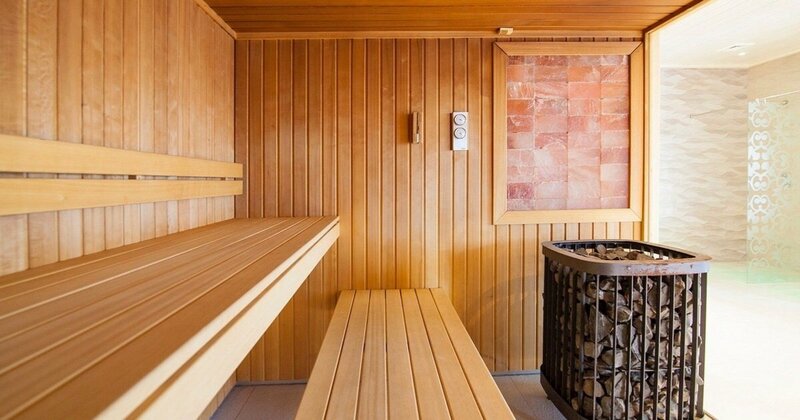 In our new Spa Complex we offer you a spacious, dry Finnish sauna of a reputable manufacturer. Bath in the sauna is a combination of body overheating treatment using hot, dry air with periodic, short impact of high humidity and high intensity of the electric field followed by cooling of the body with cold air bath and cold hydrotherapy. See for yourself it is worth! The sauna cabin is lined with raw wood and equipped with two rows of benches, each at a different height. The person using the sauna spends the first few moments on the bottom bench. Stimulates the immune system, regulates the autonomic nervous system, improves joint mobility and cleanses the skin! Only then do the move to a higher level, where the temperature reaches 70-80 degrees. Then, you should cool yourself in the shower or in the pool and go to the cabin again. Is the finnish sauna for you?